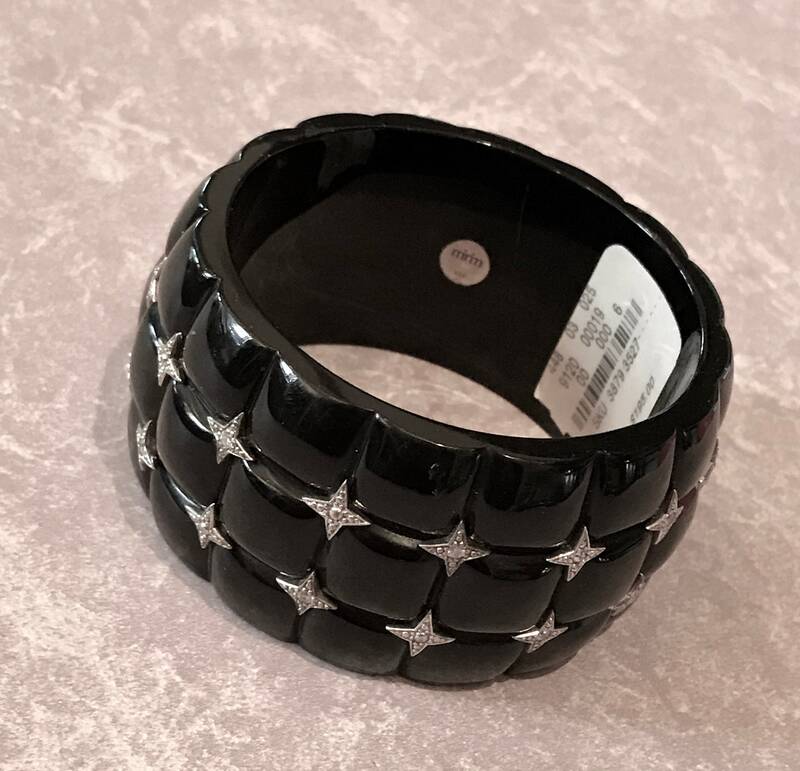 I bought this beautiful resin bangle by Miriam Salat with sterling silver and cubic zirconia accents. And never even wore it, I thought it would work great with my vintage Bakelite. 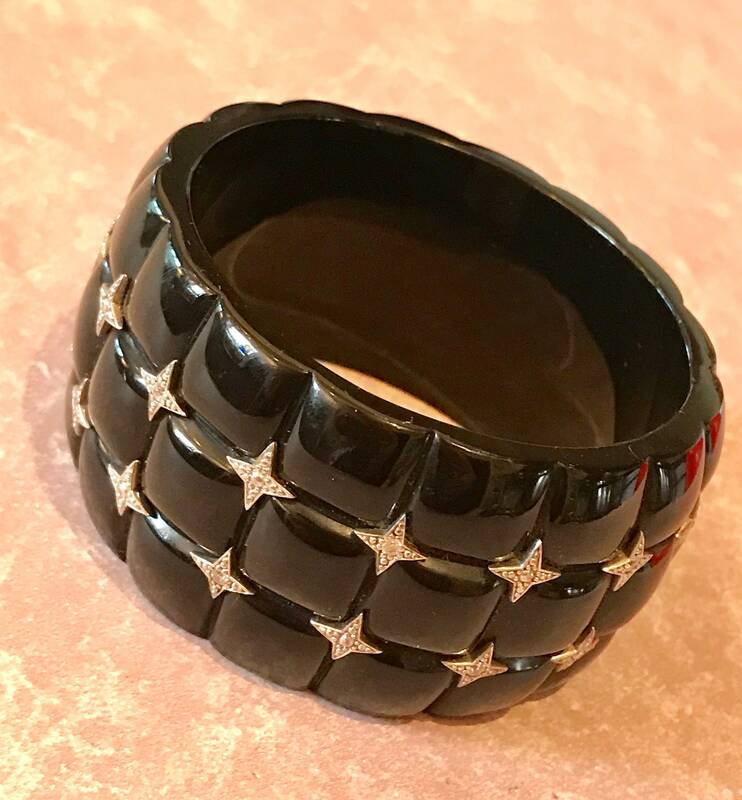 This 1.5 inch black bangle features sections that appear quilted that are accented at their corners by star-shaped motifs. 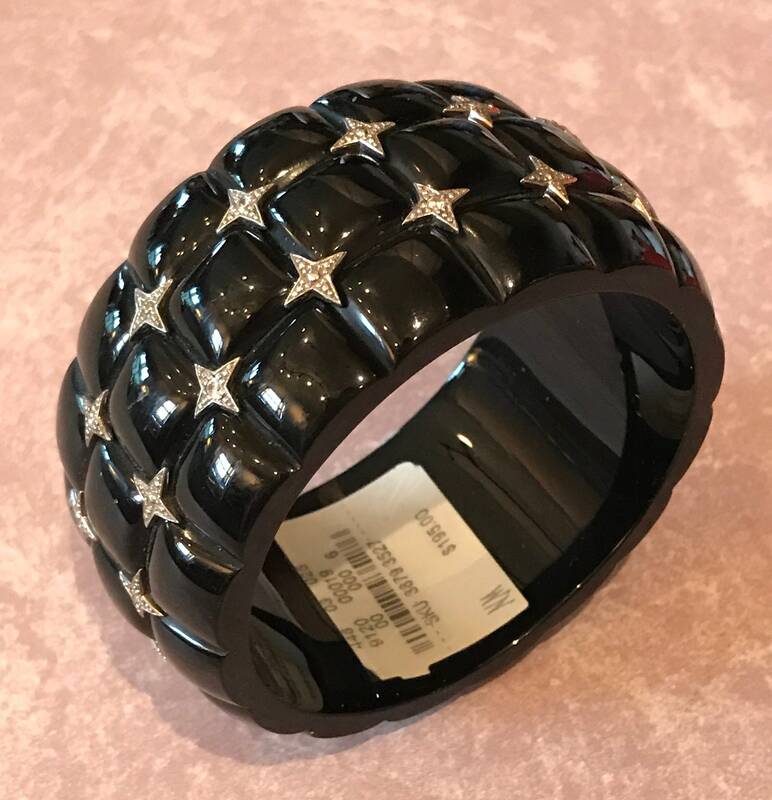 The four-pointed stars are set with cubic zirconia illusion settings in the center in an alternating pattern all over the bracelet. 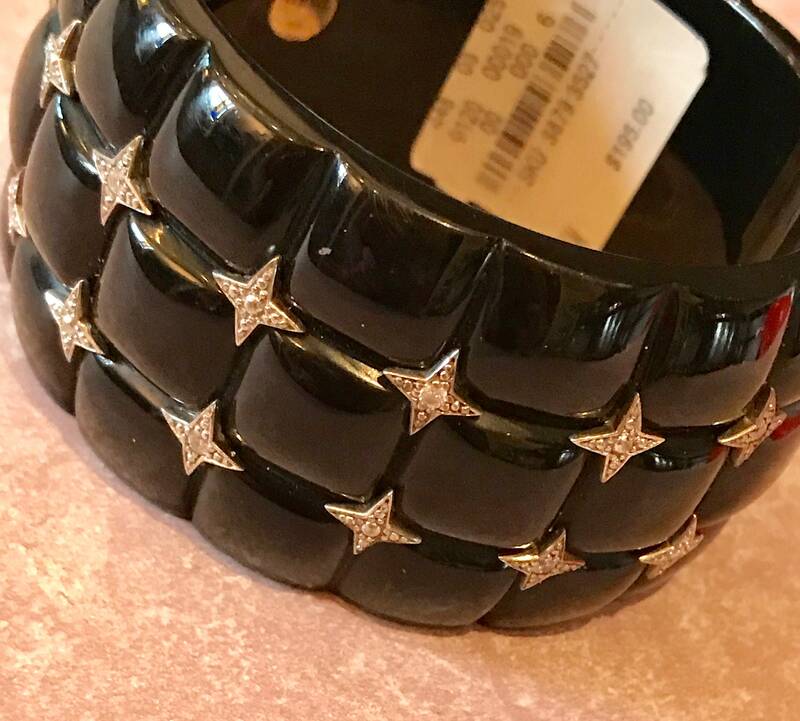 Please notice the tag is still on the bracelet. 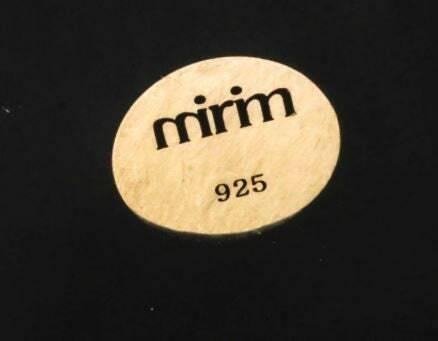 While photographing this bracelet I noticed there is a tiny scratch on the interior near the Mirim plaque, I was unable to get it to photograph, it cannot be seen when wearing the bracelet. Otherwise, excellent like new condition. 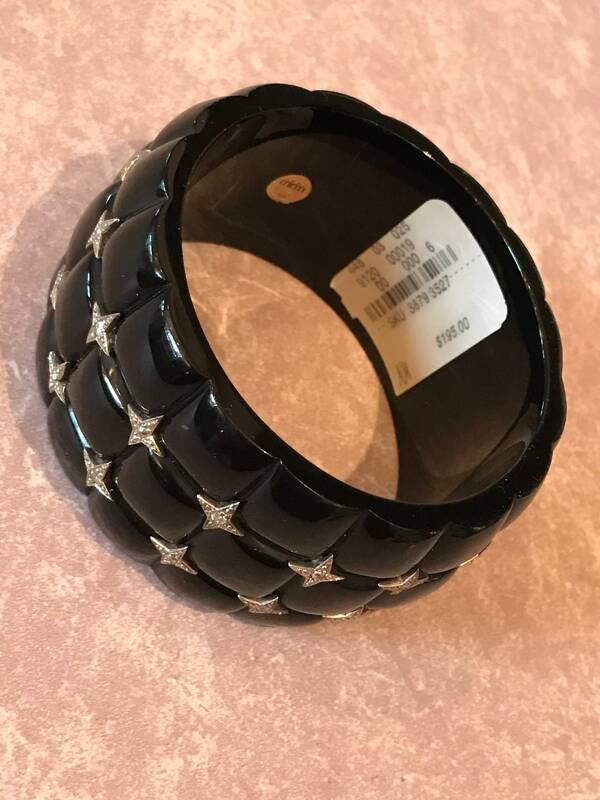 Current retail on this bracelet is around $400, I am asking the original tag price.